Certain images grab our attention and stick in our minds. And in almost every case, the more we know about a photo, the more fascinating and special it becomes. That’s where photo research comes in. This scene from Shooting the Past features two of the leading protagonists: Marilyn, the manager in charge of the archive; and Christopher, the president of the company that’s proposing to dispose of it. To prove the archive’s value, Marilyn shows Christopher a series of photos and tells him the story her archivist Oswald has pieced together. As the title suggests, this is a continuation of the previous scene. Nowhere is that brought more powerfully to life than in Stephen Poliakoff’s riveting TV drama, Shooting the Past. It tells the story of a US property developer planning to renovate a London building containing a vast photographic archive, and how the archive’s employees’ try to thwart him. Since my early days of collecting photos, one of my favourite pursuits has been playing the sleuth, trying to unearth the stories that would bring to life the images I’ve acquired. There’s a real kick to be got out of tracking down the date a photo was taken, the identity of the photographer, perhaps the magazine(s) in which it was published or the movie it promoted. In the case of fashion shots, the challenge might be to discover who the model is and who designed the clothes. From there it’s a small step to watching movies, reading biographies and leafing through old magazines… And creating aenigma. 1941. Hallowe’en in Hollywood. Click on the photo to read the story. The back of a photo may be less glamorous than the image itself but for the collector it can be just as interesting. It may help to validate the print’s authenticity as a vintage piece. And it may provide invaluable information – perhaps a photographer’s credit stamp, a caption, a newspaper clipping or all three. There may be archive or library filing annotations or handwritten notes about the subject, the sitting, the date. The party photo here is a case in point. 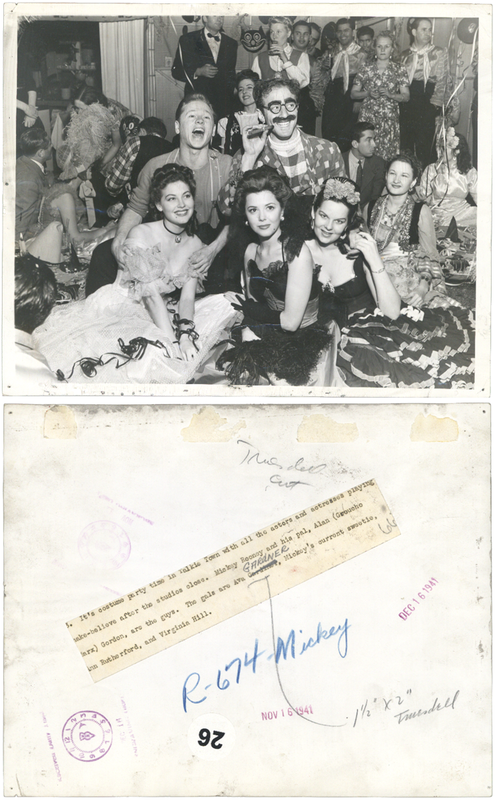 The label identifies the five people posing in the foreground and a couple of ink stamps indicate that the print was received/published/filed on November 16 1941 and December 16 1941. The witches’ hats and cats’ masks in the background reveal the occasion – we’re looking at a Hallowe’en party. All that’s needed are a few online searches to find out more about the five subjects (Alan Gordon was the most challenging) and what they were up to that year. And it’s fascinating! Often it takes a bit more detective work to get to the bottom of things. Over the years, I’ve discovered a number of sources and techniques that have yielded results. My first line of attack when it comes to photo research is usually to do a reverse image search. This involves uploading a photo to one of a number of search engines (Google, TinEye and ImageRaider are the leaders) and asking them to find similar images. They then use proprietary algorithms to try to find a match between your image and those in the databases they have built by crawling the Internet. AkshatBlog has an excellent overview of the Best Reverse Image Search Tools, Apps & Browser Addons. The good news is that, at least in the case of movie stars (not in the case of fashion), there’s a reasonable chance you will get at least one or two matches. Then it’s a matter of going to the pages in which the matches are embedded to find out more. The bad news is that more often than not the pages contain no useful information. The Internet is littered with images, often poor reproductions and copied from one website to another. The top “hit” is typically Pinterest, wading through which can be quite a task. Always try to trace the image you’re presented with back to the original source. Evaluate the source before concluding that any identification/attribution is trustworthy. One of my aims with aenigma is to provide a reliable resource for researchers and collectors, which is why I always cite date stamps, photographers, etc when I’ve been able to identify them. 1955. 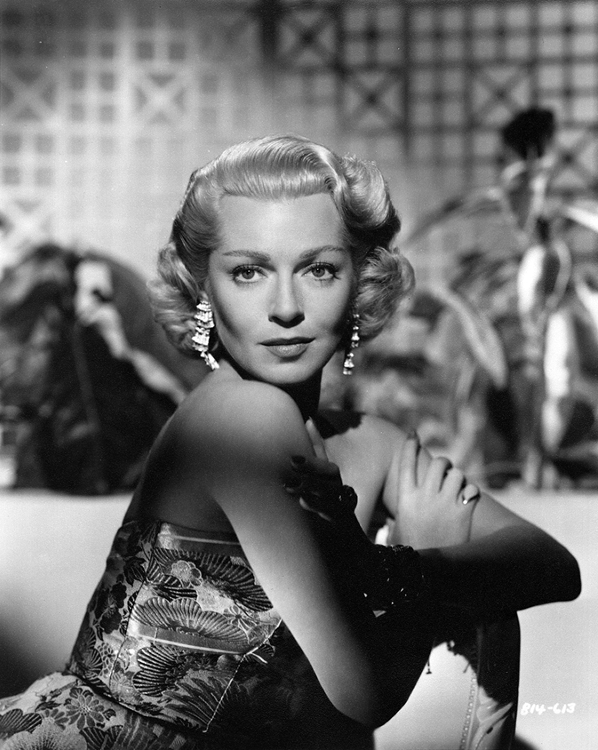 Lana Turner, promotional portrait by Bert Six for The Sea Chase. This photo found at MPTV. Reverse image searches miss at least one potentially important source – photo libraries. Unfortunately there’s no way (at least none that I have yet come across) of searching multiple photo libraries simultaneously, so you have to search each one separately. To make things more time-consuming, in most cases you have to search manually, ie by subject, photographer, year, etc. Much the biggest and most important online library when it comes to researching movie stars, celebrities and events of the past is Getty Images. It is an amalgam of many photo archives acquired, digitized and consolidated since 1995 when the business was set up. Acquisitions include, for example, the Hulton Deutsch/Picture Post Library (whose purchase, I believe, was an inspiration for Shooting the Past) and the Paris Match archive. Movie Stills Archive – a growing collection of movie stills, organized by star. To date there is no additional information (eg year, photographer). Image Collect – a collection of over 7 million celebrity photos. MPTV – an agency founded by photographer Sid Avery and specializing in entertainment photography. Camera Press – a London-based agency founded in 1947 by photographer Tom Blau. The Edward Quinn Archive – Ed Quinn lived and worked on the Côte d’Azur in the 1950s, photographing the movie stars and celebrities who congregated there. Magnum Photos – a photographic agency formed after World War II by Robert Capa, Henri Cartier-Bresson, George Rodger and David “Chim” Seymour. Publifoto – an Italian image library with a searchable database of photos dating back to 1952. Archivio Cameraphoto – another Italian archive, based on material from Interphoto, an agency set up by photographer Dino Jarach. The great thing about photo libraries is that as well as the subject they often identify the photographer and the year the photo was taken. Having said that, don’t assume that this information is correct. In my searches through Getty Images I’ve come across lots of material dated January 1 1900 – which seems to be a code for “date unknown.” Similarly, a date of January 1 of any year in most cases seems to mean that the archivist believes they know the year but not the precise date. Vintage magazines are both fascinating and invaluable for photo research. Often photos have captions identifying the photographer, while the article they illustrate provides information about the subject. In the case of fashion magazines, you’re likely to learn the month as well as the year of the photograph, the photographer and the garments being modelled although more often than not the model isn’t named. The archives of Vogue (US), Vogue Italia (from 1964) and Harper’s Bazaar (US) have been digitized by a company called Proquest. The archives are fully indexed and searchable. But to use them you’ll either need to have a personal subscription (deep pockets required) or to belong to an institution (such as a major library or university) with corporate membership. I visit the British Library, which provides access to the Vogue (US) archive, and quickly discovered I could search by date, photographer, subject/model and designer (there are lots of other search options as well). For example, one of my searches was for photographs of Veruschka by Franco Rubartelli, with the results sorted by date. Clicking on a result takes me to the beginning of the article, with forward/backward arrows to navigate the pages. When I find a spread of interest, the system enables me to email the .jpgs to myself along with a transcript of the associated text. Awesome! It’s also possible to browse the magazines. If the Proquest archives are out of your reach, then there’s a much smaller but still useful offering at My Vintage Vogue. If it’s movie stars you’re interested in, the place to go is Fan Magazines Collection, which has scanned editions of vintage rags including Modern Screen, Photoplay and Screenland. The runs are incomplete but still extensive and available for free – a truly magnificent resource for photo research. Less specific but no less fascinating is Google’s browsable Life magazine archive. Alternatively, if all you want to do is search for a photo, go to Google image search and type in your search word(s) followed by “source:life”. For example, to find photos of Hazel Brooks published in Life magazine, enter “hazel brooks source:life”. Also worth a look, with subjects ranging from WWI and WWII to sports and music, fashion and the Titanic, is Old Magazine Articles, another free online resource. 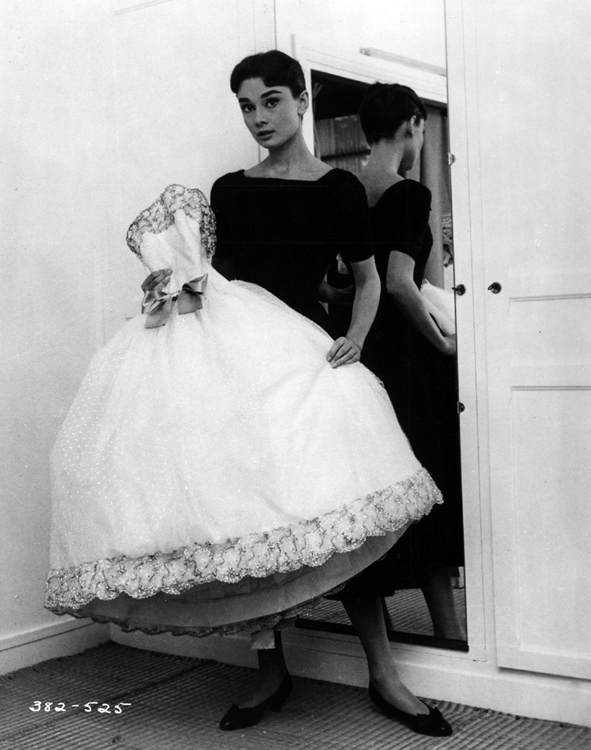 Audrey Hepburn holding a gown. The production code number 382 reveals that the photo was taken during the filming of Love in the Afternoon (1957). 525 is the number assigned to the individual still. From the 1920s onwards, production, distribution and marketing stills were controlled by an accounting process known as “production codes.” Studios would assign a code to each of their films as a way of tracking its progress through production. This helped to avoid confusion if, for example, the name of the movie or its director changed. It also turns out to be a huge boon for anyone with an interest in photo research. During a movie’s production, the stills team would take all sorts of photos: movie stills, behind-the-scenes shots, portraits, and so on. The studio’s publicity department would review the resulting contact sheets, choosing the best shots, from which they would create a “key set.” Images from the key set would be distributed to magazines and newspapers in order to promote the movie or the star. Crucially for collectors, each of the images in the set would be marked with the assigned production number together with an individual still number. Individual stars might also be allocated their own “production codes” for portraits not associated with a specific film. So if you have a mystery photo with a production code, there’s a reasonable chance you’ll be able to track it down. All you need is a list of production codes and the movies or stars with which they are associated. Fortunately, Ed and Susan Poole, the undisputed authorities on this topic and authors of Production Code Basics, have invested a huge amount of time and effort in producing just such a list (it is a work in progress). It is available in the two-volume Movie Still Identification Book Ultimate Edition available from their website store. Alternatively, you can subscribe to their research service. In using production codes to identify photos you need to bear in mind a couple things. First, each studio had its own numbering system and the systems weren’t always that systematic. So in many cases the same production code has been used for multiple movies. Fortunately, it’s usually pretty straightforward to identify which of the movies on the shortlist associated with the production number is relevant to your photo by studying the stars and figuring out a rough date. And second, the production codes are sometimes just wrong. The guys who inscribed them on the negatives were human beings and prone to making mistakes – whether through carelessness or by misreading the code they were supposed to be transcribing. So watch out! The dedication reveals that the actress is Virginia but in spite of all my efforts that was all I knew about her. Then, a second reverse image search, months after the previous one, threw up a match on eBay. The copy for sale there had been used to promote A Royal Scandal (1945) in which Virginia Walker starred as a lady in waiting to Catherine the Great. Aenigma is just one of many websites and blogs created by enthusiasts to share their interests and provide an outlet for their research. Any attempt at compiling an exhaustive list is doomed to failure as the landscape is constantly changing and everyone will have their own specific areas of interest. Glamour Girls of the Silver Screen – a website dedicated to the private lives of some of the most glamorous actresses of the 1930s, ’40s, ’50s and ’60s. 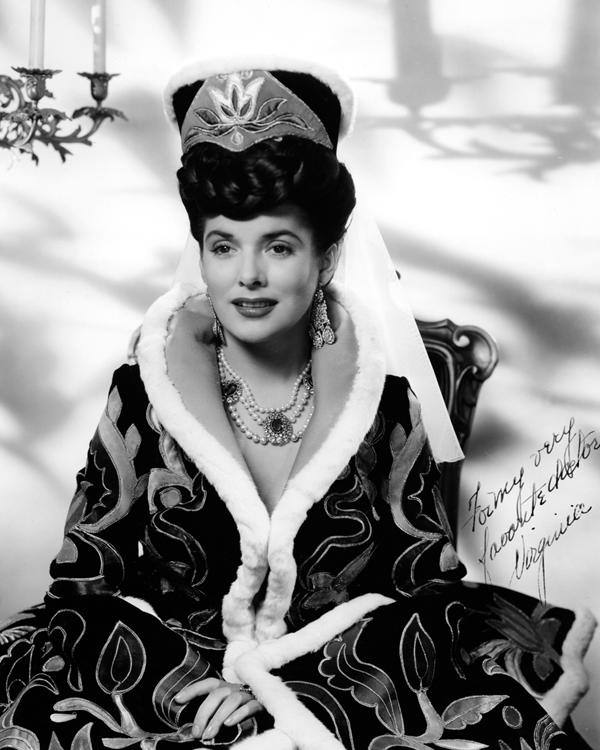 Those Obscure Objects of Desire – a blog about unknown actresses of old Hollywood. 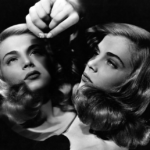 Cult Sirens – a tribute to gorgeous and provocative actresses, primarily from the 1950s onwards. Forgotten Hollywood – a blog about the unique relationship between Hollywood’s Golden Age and American history, and including useful links to related websites. You Must Remember This – a series of storytelling podcasts about the secret and/or forgotten histories of Hollywood’s first century. Cinephilia & Beyond – a highly rated website for filmmakers and film lovers. Vintage Movie Star Photos – a blog for discussing vintage photographers and celebrity subjects. It’s one of the best sources of information about Hollywood photographers of the 1930s, ’40s and ’50s. 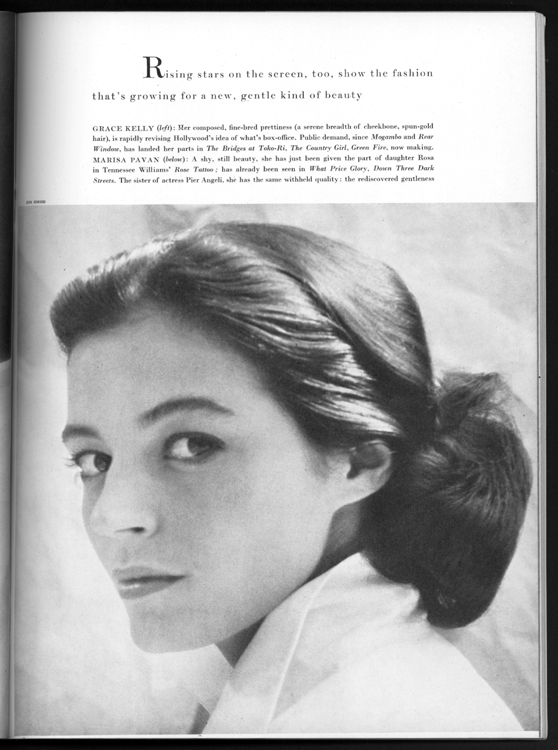 The Red List – an online database of 100,000 images and 6,000 profiles covering the whole world of visual arts, with brief illustrated biographies of photographers in the fields of both fashion and cinema. The Ned Scott Archive – a fascinating compilation of material from the estate of one of the great photographers of Hollywood’s Golden Age. There’s an ever-changing wealth of material available on eBay, and particularly on ebay.com. Most of the photos are later prints and many sellers don’t provide much or even any information about what’s on the back of the print they’re selling. But some do; and if you find those sellers and watch their auctions, you will learn a lot over time and may even spot some images you want to bid on! And then there’s Instagram. As with eBay, there are many pearls to be found among the mass of dross. And again, it’s a matter of finding photo-streams that specialize in the kinds of images that appeal to you and provide reliable information about them. Photo research – what about you? I’ll update this article as I discover new resources, and I’d love to hear from you if you have any suggestions I could add. So please do contact me with your ideas. Fashion and movie photos – why collect them?